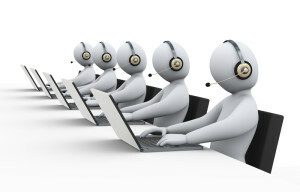 Telemarketing: Court of Appeals affirms that consent bargained for in contract cannot be revoked. If you don’t want unlimited junk calls, you need to know this: You may not be able to revoke consent or stop junk calls, if you are deemed to have granted consent in a contract. That was the holding of the Second Circuit Court of Appeals in the Reyes v Lincoln Automotive Financial Services decision published in August. In 2003 President Bush signed into law the Do-Not-Call Implementation Act to establish a national Do Not Call Registry to facilitate compliance with the Telephone Consumer Protection Act of 1991 (the “TCPA”). By 2016 over 226 million active phone numbers had been listed on the do not call registry. None-the-less, millions of Americans on the Do Not Call list can be called legally (even by robocallers) because they provided their phone number in a contract that granted permission to call them and the Second Circuit has now ruled that once permission is granted as part of a contract that “bargained-for” grant of permission may not be revoked. In that case, the consumer leasing a luxury car, provided his mobile phone number and consented to telephone calls from the manufacturer’s leasing company as a part of the lease agreement. The language of the lease included consent to “contact by manual calling methods, prerecorded or artificial voice messages, text messages, emails and/or automatic phone dialing systems.” After the lease was signed the consumer wrote to the leasing company in an effort to revoke the authority for communications to his mobile phone. The consumer received over 140 telephone calls with a “customer representative on the line,” and approximately 400 pre-recorded messages. The consumer brought an action against the leasing company seeking over $700,000 in damages for violation of the TCPA. Do not sign contracts without reading them. The TCPA does not override an express provision in a contract. If you have questions about how a contract might impact your legal rights, ask a lawyer. ← Doctor’s Associates Inc. Has Now Confirmed What Many Franchisees Had Known: Subway Closed More US Stores Than It Opened.